Hall of the Mountain King: Review: Queensryche, "Queensryche"
Round Two of the Queensryche wars arrives with the eponymous new release from the Todd La Torre-fronted version. As expected, this lineup dips back into the history of the band, pulling out the more metallic and progressive sounds of the 1980s. 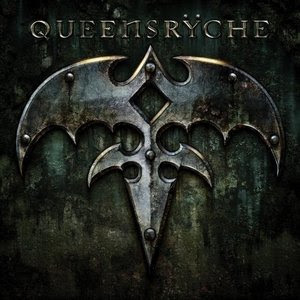 On first listen, Queensryche struck me as on OK album with a couple of standout tracks, but I have to admit that, the more I listen to it, the more the songs began to creep up and grow on me. A perfect example is the first real song on the record, “Where Dreams Go to Die.” I really liked the opening of it on first listen, and the big guitar riff from Michael Wilton leading into the verse is great, but I wasn’t crazy about the slower verse and bridge of the song. About three listens in, though, I had to admit that the song had me. It’s not quite what I expected, but there’s enough of that early Queensryche sound there to draw me in. But it’s fourth track, “In this Light” where things really begin to come together. This was one of the songs that I loved on first listen, and quite simply put, is the best song that Queensryche has recorded in more than 20 years. It features all the trademarks of the classic Queensryche sound. It’s dark with great vocals and a fantastic chorus that will reverberate with fans of the band’s earlier material. I don’t know how many times I’ve listened to this song over the last few weeks, but if it were one of the cassettes that I bought the band’s ‘80s albums on, it would probably be worn thin by now. I’m not a ballad fan, but for some reason, it’s the slower songs on this record that really reach out to me. The ballad “A World Without” comes in a close second to “In This Light” among my favorites on this album. It finds that dark place with just a hint of the sinister that Queensryche used to do so well, and it sounds to me like a bit of a cross between Operation: Mindcrime and Rage for Order. La Torre turns in one of his best performances on the song, despite not really reaching for any piercing high notes. It’s all about the character of the vocal, and it has that off-balance and disturbed thing going that some of Geoff Tate’s best performances did. Now’s as good a time as any, I guess, to talk about what will be both the biggest curiosity and perhaps biggest controversy of this album – La Torre’s vocals. Off the top, I’ll say that he’s not as good as Tate in his prime. Of course, Tate in his prime was probably one of the best four or five voices in metal ever, and I didn’t expect La Torre to be able to match that. What La Torre does on this album, though, is absolutely incredible. His voice is similar enough to Tate’s that there’s continuity with the sound, but not so close as to seem like a copycat singer. The comparison to Tim Owens with Judas Priest is obvious. 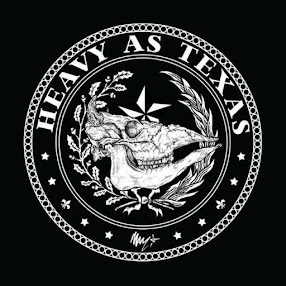 Like Owens and Rob Halford, La Torre can hit the notes and mimic Tate when he wants, but he has more of his own voice to bring to the new songs. I also suspect that La Torre will find much more love from Queensryche fans than Owens found with the Priest crowd. He’s still replacing an iconic singer, but he brings something a little more important. He brings back the Queensryche feel that many of the band’s fans have been longing for since the early 1990s. The record offers up a lot of sounds from that early period. While the slower numbers here are great, there are also some driving metal pieces. “Don’t Look Back” is reminiscent of some of the speedier tracks from Mindcrime, and “Vindication” represents the heaviest track they’ve recorded maybe since before Mindcrime. Scott Rockenfield’s pummeling drums are the star of the show on this song and La Torre spits the vocals with venom. I’ve even grown more fond of “Redemption” than I was at the beginning, and if I had that Queensryche vs. Queensryche article to do over again, I’d probably lean the other way now. For those few fans of their more recent work, there’s even a nod to that on here with “Spore,” which brings in about the only modern rock elements on the record, but at its heart is still much more in the classic vein of the band. I expected to like this album more than the Tate-fronted version of the band, but to be honest, I didn’t quite expect to like it as much as I do. It’s not the second coming of Mindcrime by a long shot, but it’s much closer to the album that I’ve been hoping to hear from the band than any they’ve done since Empire. And that other guy who hinted that the rest of the band couldn’t write songs without him? He’s proven dead wrong. Emphatically. “In this Light” blows anything he’s written in the last 20 years completely out of the water, and the other songs on the record are no slouches, either. So who wins the ultimate battle between the two warring Queensryche factions? This version, in a brutal and bloody MMA-style knockout.